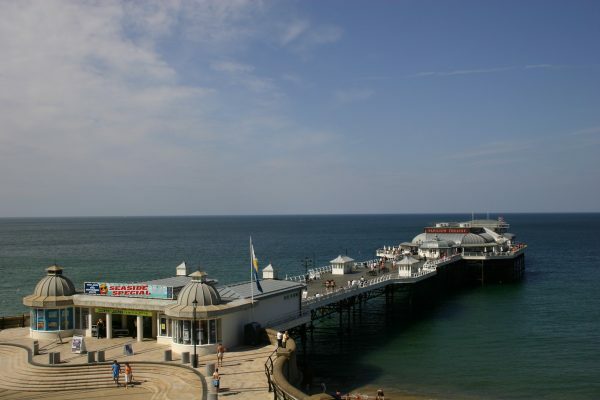 Cromer, a delightful seaside town on the North Norfolk coast, is known for its rich maritime history and delicious crabs, praised for their quality and taste. You’ll probably see them proudly advertised around Norfolk – and they’re certainly worth a taste! Did you know you can try your hand at crabbing in Cromer? It’s very simple and plenty of fun for the whole family, so read on for some handy tips and enjoy an hour or two finding your own Cromer crabs! A bucket of seawater and seaweed to imitate the crabs’ natural habitat – happy crabs are important! You will need to avoid using nets or hooks, as these can be harmful to the crabs. Also avoid destructive and harmful items – these are not okay to use when crabbing in Cromer. How Do We Set Up? It’s very simple to set up your crabbing equipment. Take your string or line and tie your bait to it, with your weight tied slightly above it. The bucket is also a fairly easy task. All you have to do is try and mimic the crab’s natural surroundings, so fill your (preferably deep) bucket with fresh seawater and add some seaweed and other sea features, such as rocks. Then your bucket is ready for some Cromer crabs! Ensure you replace your water with fresh seawater every 10 minutes to stop the crabs asphyxiating – if you don’t you could harm the crabs, so this is very important. One you’ve got all your gear set up, you’ll need to pick your spot for crabbing in Cromer! People prefer to go ‘gillying’ (the Norfolk slang for crabbing) over the side of Cromer Pier. Once you’ve chosen your spot, it’s time to crab! Lower your line to the bottom carefully and wait – soon, you’ll hopefully feel the tell-tale tug of a Cromer crab and you can reel him in. Reel the crabs in slowly – if you reel your crab in too fast then he may drop off! Disappointing for you and potentially harmful for the crab, so take it slow and steady and it will pay off! At the end of your crabbing in Cromer session, make sure the crabs make it home safely. Do not drop the crabs from the side of the pier – as previously mentioned, this is potentially harmful (and not to mention, not nice!) for the crabs. Take your new friends down to the shore and let them free a little way away from the water – that way, you can make sure they get back to the sea okay and you get to watch them! Make sure to handle crabs from the back. Children should always ask a parent or guardian to do this for them. 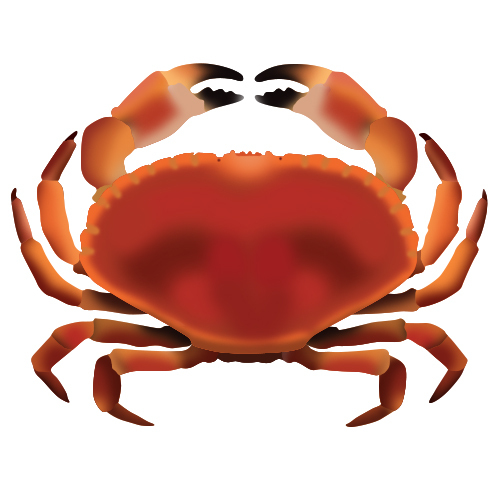 You might regret it if not – crabs might be small but their pincers are sharp! Try not to put too many crabs in one bucket – think of it as a room. Too many people would make it uncomfortable. Keep your bucket out of the sun – you’re crabbing in Cromer for fun, not boiling the crabs! Remember not to use any disruptive or harmful equipment such as hooks. After returning your own Cromer crabs to the sea, why not stop off for a delicious Cromer crab dinner? Last reviewed 17 October 2017. 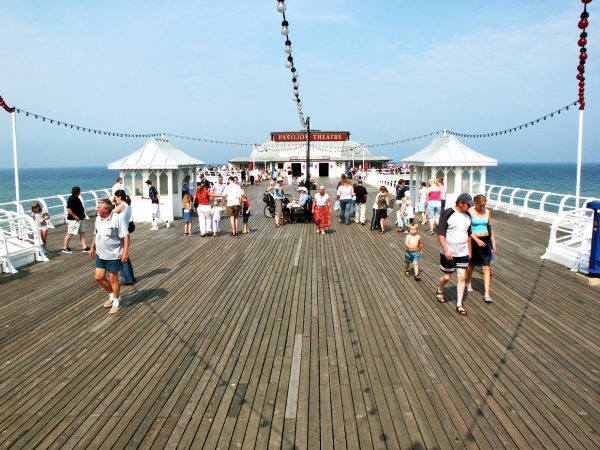 Photos of Cromer Pier courtesy of VisitNorfolk.co.uk.